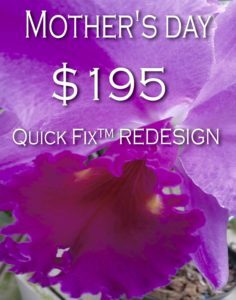 Quick Fix Archives - Decor Designs, Inc.
Mother’s Day 2018 is less than two weeks away! How will you show that special lady how much she means to you? Our Quick Fix™ Redesign service is the perfect solution!!! Give mom a gift that truly keeps giving. For less than the cost of taking mom out for dinner, you can give her a gift she will enjoy for more than one evening. If mom has lived with things the same way for a long time, a fresh perspective may be all she needs to give new life to her home! Anyone can fall into a rut unable to see the hidden potential in a space. 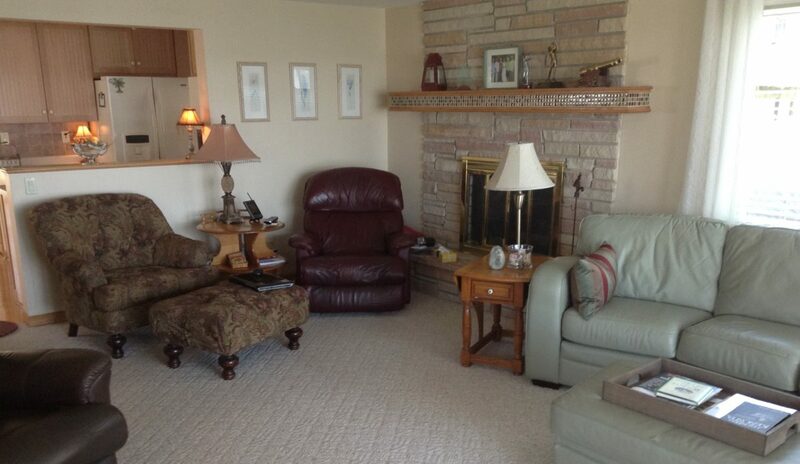 With careful editing and using items she already owns, we will quickly fix common problem areas leaving her space professionally styled, refreshed and looking fantastic in just a few hours! Give us a call at 815-245-2433 TODAY. We will process your credit card payment over the phone. Then, we will email your receipt along with a Quick Fix™ Redesign Gift Certificate to send in mom’s card. Nothing could be more special than giving mom a gift she didn’t know she needed. Let us help you make mom feel as special as she is. Call TODAY. HAPPY MOTHER’S DAY FROM DECOR DESIGNS, INC. This entry was posted in Decor Designs, Inc., Holiday Decoating, Interior Redesign, Quick Fix, Redesign and tagged DECORATING PROMOTION on May 4, 2018 by Jeff Rice. 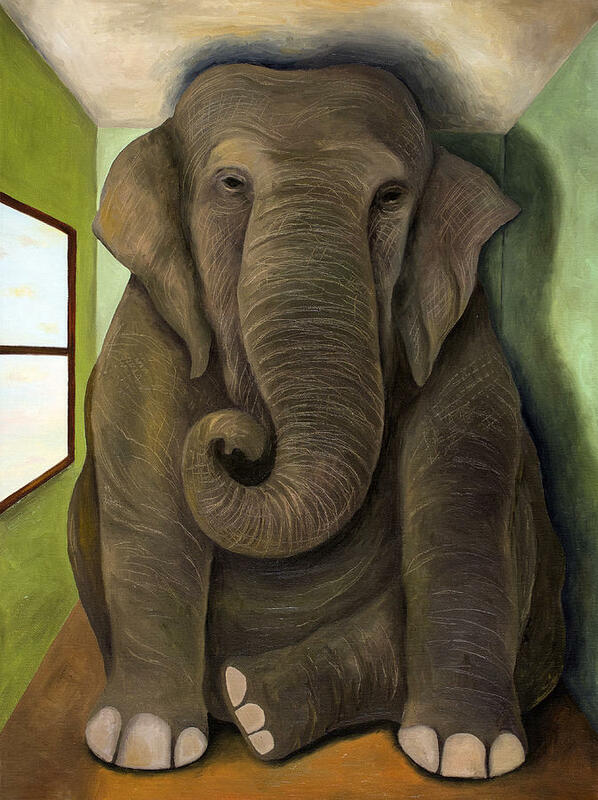 You’ve probably heard people talk about the “elephant in the room”. You know…that one thing that everyone is acutely aware of but nobody wants to talk about. Well, in this line of work, you run into a heck of a lot of elephants! We recently stumbled across an “elephant” while helping clients renovate their new lake house near Lake Geneva, Wisconsin. During the consultation prior to closing, we toured the immaculately kept home for ideas to customize it to the new owner’s taste and style. It quickly became clear that certain changes were immediately necessary while others could happen down the road. In order to suit the new owners’ taste and style, we planned to phase out the more “rural” creams, tans, peaches and greens and phase in a more desired “urban” palette of warm grays, blacks and whites. The elephant in the room, of course, was the stone fireplace complete with its peach and salmon accents, oak mantle and brass surround. 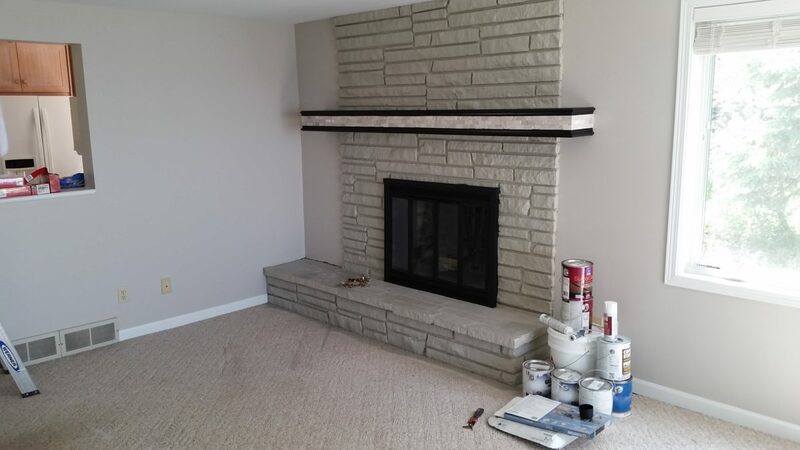 To compliment our new wall color (BM 1541 London Fog), we decided to have the stone on the fireplace primed and painted with BM 1536 Northern Cliffs. The dated, polished brass fireplace surround was painted with heat-resistant black Rustoleum™ and the oak mantel painted black to match. Finally, a new stacked-stone mosaic tile was applied right over the existing glass mosaic using SimpleMat™ tile setting mat to complete the new look. How do you eat an elephant? One bite at a time! And while there’s still a lot of work to be done, the elephant in this room has all but disappeared. What would have been a real eyesore in the newly decorated space has been given a facelift with a little paint and tile and will blend nicely with the new owner’s furniture, art and accessories (to follow). So what are you waiting for? Don’t ignore the elephants in your own space any longer!!! And if you need help from the “big guns”, give us a call! 815-245-2433! Happy Decorating from Decor Designs! This entry was posted in Decorating Tips, Interior Decorating, Quick Fix and tagged Decorating Tips, Interior Decorating, Interior Redesign on May 30, 2015 by Jeff Rice.